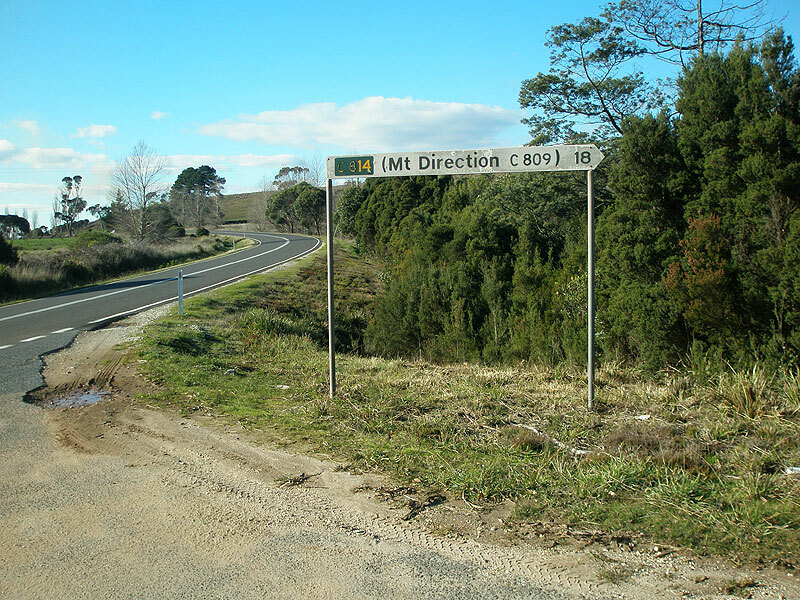 Fingerboard signs at the intersection of Bridport Main Rd (B82) & Industry Rd (C814), 1km west of Pipers River. Source: Peter Renshaw, June 2007. 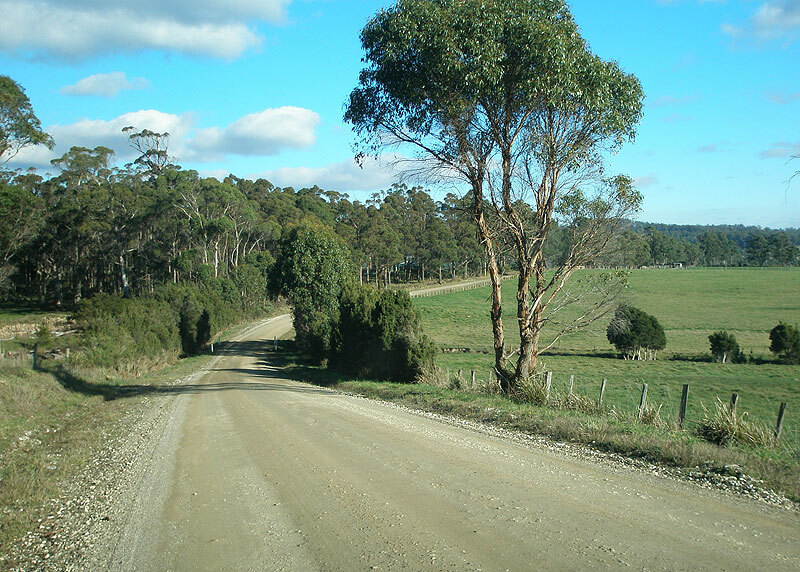 C814 is an unsealed rural route in northern Tasmania, linking, along with route C809, the Tamar River foreshore with the north east. 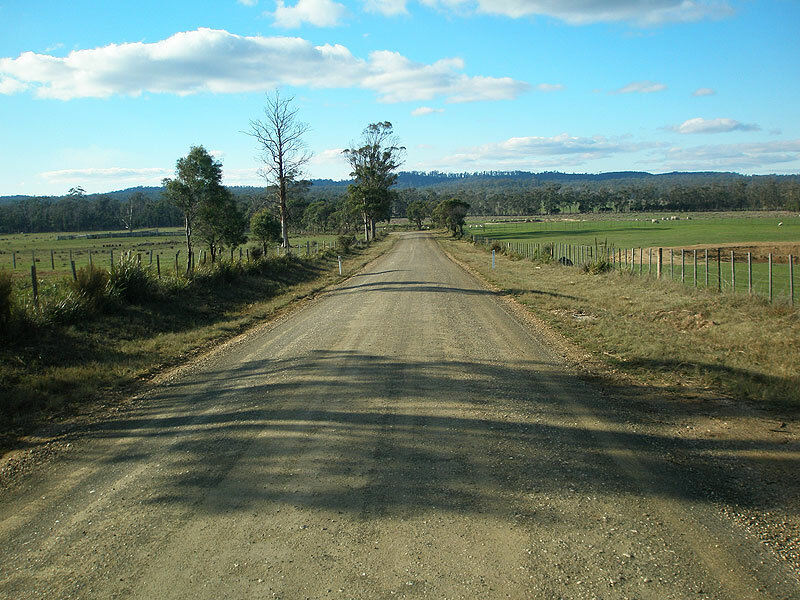 Despite carrying the name 'Industry Road' it doesn't appear to serve any industry, other than a handful of agricultural properties and a small area of state forest. C814 is signed only at its northern terminus and at the junction with C815 - there are no fingerboards at the intersection with C809, despite signage on both C814 and C809 stating the importance of the intersection as a turning point for traffic. 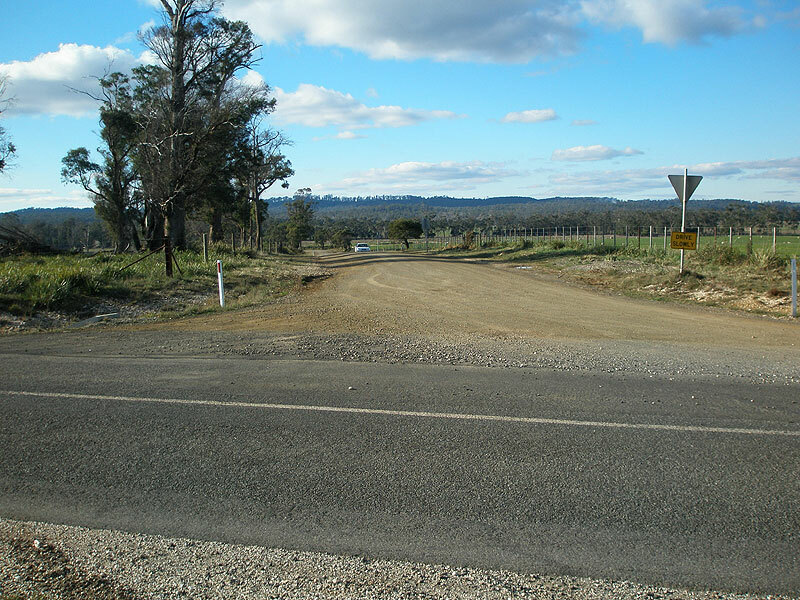 Dalrymple Rd (C809) looking south at the intersection with Industry Rd (C814). There are no fingerboards at this important intersection. Industry Rd (C814) looking north-east from the intersection with Dalrymple Rd (C809). Industry Rd (C814) looking north-east about 1km north of Dalrymple Rd (C809). 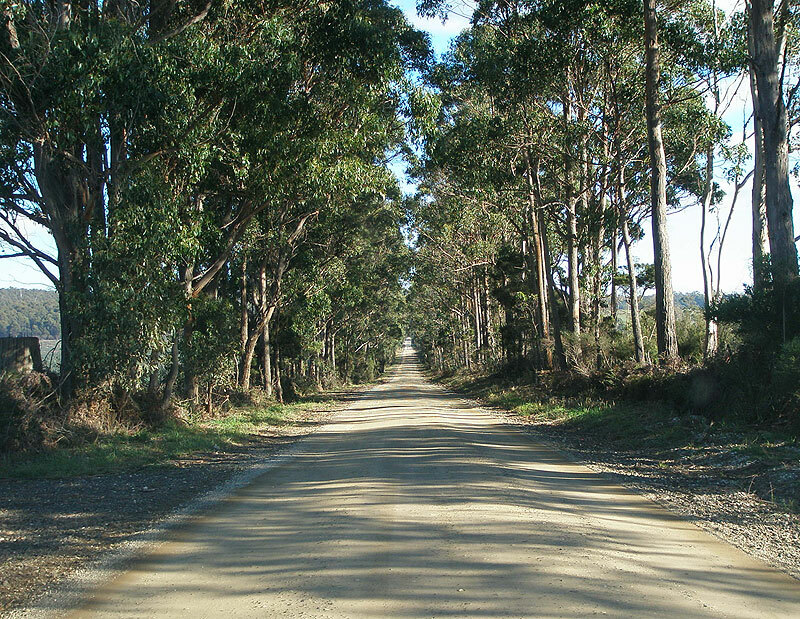 Industry Rd (C814) looking south-west through state forest near Smiths Gully Rd. 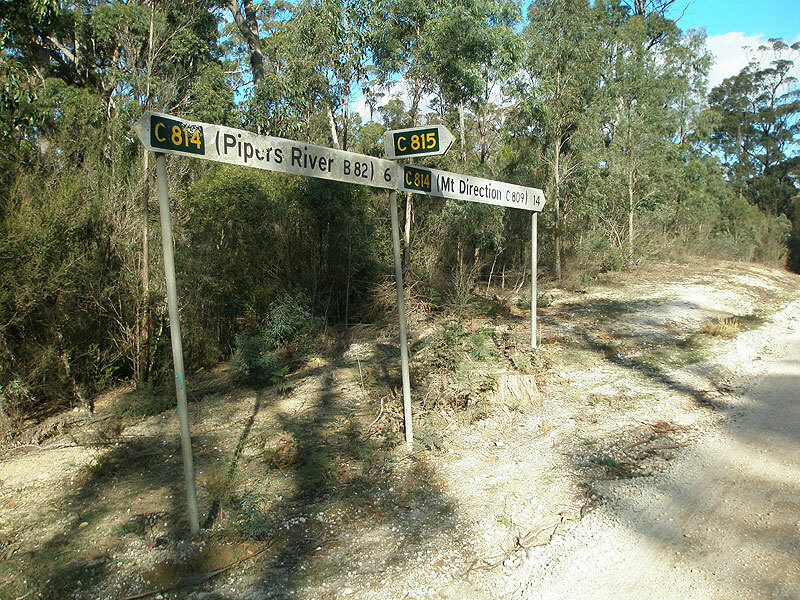 Fingerboard signs at the intersection of Industry Rd (C814) & Trooper Track (C815), 6km south-west of Pipers River. Industry Rd (C814) looking south-west approximately 3.5km south-west of Pipers River. 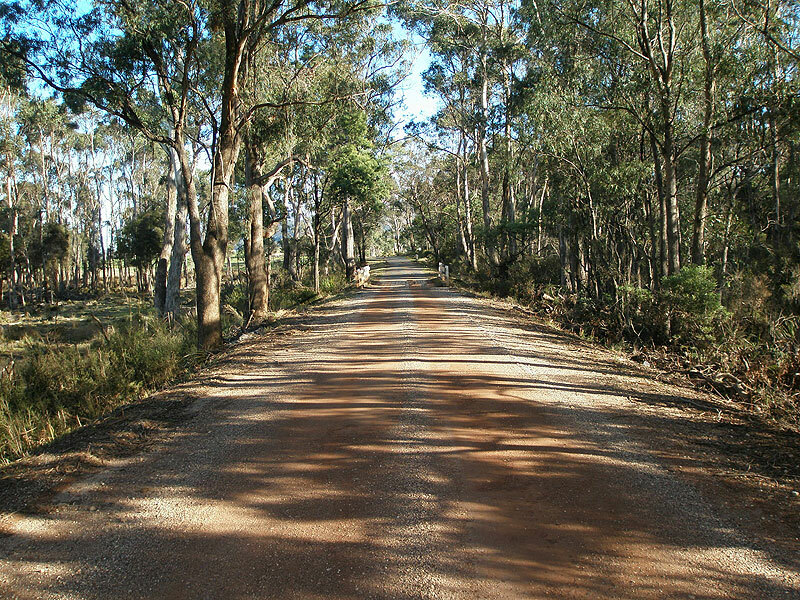 Industry Rd (C814) looking south-west approximately 2.5km south-west of Pipers River. 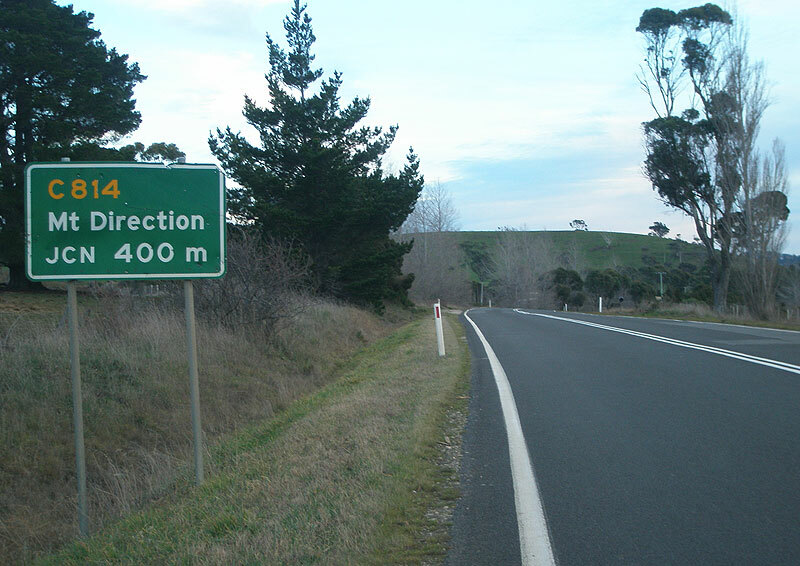 C814 fingerboard sign at the intersection of Bridport Main Rd (B82) & Industry Rd (C814), 1km west of Pipers River. Note the mention of C809 for traffic headed to Mt Direction - there are no fingerboards at the C809 junction to advise traffic where to turn. 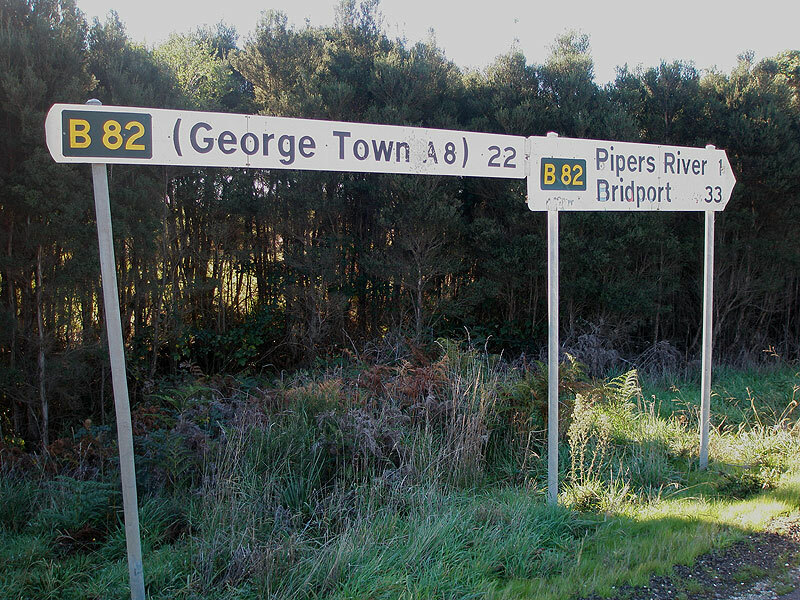 B82 fingerboards at the intersection of Bridport Main Rd (B82) & Industry Rd (C814), 1km west of Pipers River. 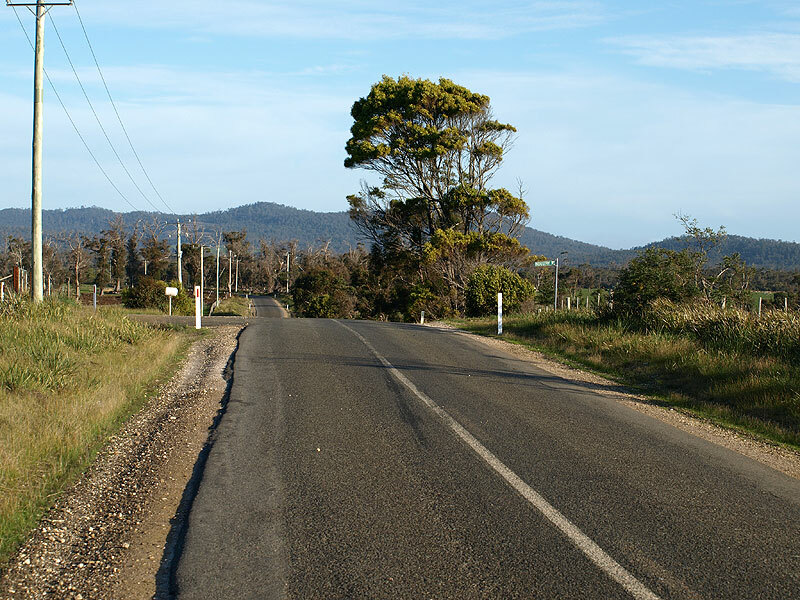 Bridport Main Rd (B82) westbound approaching the intersection with Industry Rd (C814), 1km west of Pipers River.